Are you looking for the best wireless backup cameras for your new brand car? With the advance technology, a wireless backup camera is so popular in the market world. However, there are also different brands coming with different quality as well. 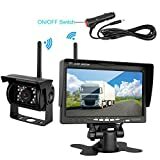 Therefore, let me help reduce your time searching for the best quality one by introducing you to the top 10 best wireless backup cameras I have done the research about. Check them out and find the right one for yourself. ‘Wireless’- In recent few years, this word or call it in a bigger term ‘this technology’ has changed the world drastically. From a tiny gadget to a big one, all come with the wireless system. That’s why today we thought to introduce you to the top 10 wireless backup cameras in 2019. 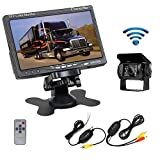 These wireless backup cameras will give you a freedom to operate your vehicle’s monitor without a bundle of cables. We’ll begin the list with the 10th wireless backup camera on our list. AUTO-VOX M1W Wireless Backup Camera Kit will help you to ditch the cables. The flexible hidden camera with 6 high LEDs makes your work easier. Place it wherever you want and enable the 360° rotation bracket which is mainly integrated to mount the monitor on windshield or dashboard. If you have a small car, it might be a good fit for you as it come with 4.3 inches display screen. The IP67 waterproof transmitter makes sure to give you a clear sight even at the rain. Doesn’t it sound cool to you? If not, let’s move to the next one. The longer is its name, the smaller it is in size. Seriously, iBall 5.8GHz Wireless Monitor camera comes in an incredibly small package but the price is high. iBall Wireless Hitch Camera set its feet in this market in 2009 and shortly it has wooed the folks. 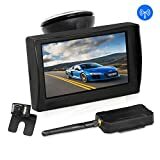 With its 3.5 LCD display, 3- hour continuous battery run, 5.8 GHz transmitter, and 12v auxiliary power supply, iBall wireless backup camera can be used with any vehicle. It will be a savior for those who can’t plug in the charger every time because it provides an impressive battery run time. Still not the right one for you yet? Move to another one then. AUTO-VOX brand doesn’t need to brag about its service. Looking at its market legacy, you can give it a try even without a second thought. The best thing about AUTO-VOX cameras are that they are budget-friendly and offer some impressive features. 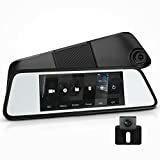 Those, who are too lazy to set up the device or even to press a button, will love this wireless backup camera and its awesome fingertip-driven functionality. The thing that has impressed the people all around is its super excellent video quality on the front camera. Though the display is mere 4.5 inches, it offers high-quality images even at the night. Let’s move the number 7 of the list. Those, who are running on a low budget, might ignore this wireless backup camera. It is pricey but offers some advanced technologies. The rear view camera with 18 infrared lights and CMOS sensor assures you a great quality image/video even at the low-visible areas. Other than this, you’ll love the flexible compatibility of this camera. You can adjust the power voltage as per your needs and can install it on any vehicle as long as the size of camera fits well with that vehicle. When it comes to quality and versatility, you need to spend a chunk of money no matter which product you buy. That said, Camecho seems to have its own set of marketing strategy. It offers a bunch of unbeatable features that too in a decent price. It includes 18 inferred lights and the IP69 waterproof which both make it combat against even the severe weather conditions. One more thing to notice, it comes with a 7-inch-long TFT LCD display which is indeed rare to find in wireless backup cameras. So far, we have talked about 6 wireless backup cameras including this one and out of six, three are from AUTO-VOX. Can you imagine the credibility of this brand? Speaking of AUTO-VOX M8 Mirror dash Cam Backup Camera kit, this one is the costliest and the most advanced wireless backup camera from AUTO-VOX on our list. With its 6.86 inches LCD screen and 180° rear view angle, it provides a far-off and clear sight to the drivers. It also comes with a motion detection device which adds an extra layer of security. 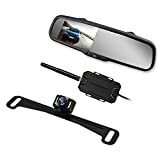 Yet another AUTO-VOX wireless backup camera on our list which is ideal for those who are looking for a simple and a long-lasting wireless backup camera. Driving during the rainy season is the biggest concern for the majority of car owners but with this wireless backup camera, put your worries aside. It is integrated with the IP68 waterproof, so ensures a hassle-free monitoring even in the rain. The monitor screen is not so big. It is only 4.3 inches but promises a clear sight. The best thing you’ll love about this backup camera is its auto-adjust brightness system. Those, who have a luxurious car or any bigger vehicle, consider buying this one, the costliest on our list. Once you’ll spend a few hundred bucks, you won’t regret. The advanced features of this camera will make you fall in love with it. The most extraordinary function is that you can use two cameras and monitor the display at the same time. Split the screen in two portions and they both will show you two different views. 28 inferred lights and a 7-inch-long display make it easier even than you can think. It won’t be wrong saying that AUTO-VOX is the dominating wireless backup camera brand in the market. 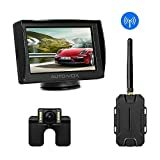 AUTO-VOX W1 wireless backup camera kit is a simple, inexpensive, reliable, and traditional looing wireless backup camera. It features 6 LED lights with automatic turn on/off feature, IP67 waterproof, digital image processor, and a 4.3-inch-display screen. Due to its simple features, you can install it even in seconds. 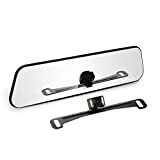 As it comes with 360° rotation bracket, it allows the camera to easily mount on the windshield. Auto-vox T2 wireless backup camera is ranked first on our list and it has some reasons to boast about. 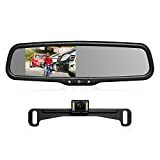 It is certainly not an advanced and stylish looking wireless backup camera but when it comes to ease of use, it beats the all. It has all the features that you need in a wireless backup camera and they all function in an easier way. Given that, BOSCAM K2 will surely be a good bet for the money. Cables are not only complicated to set up but also give a messy look. So now, no more worries. Get one of the top 10 wireless backup cameras from the above list and monitor your vehicle at the fingertip.